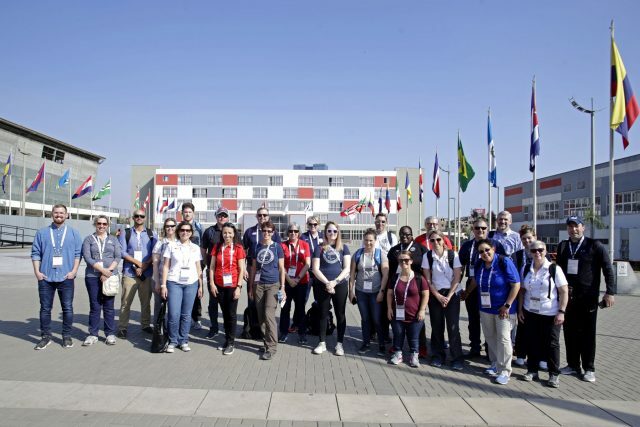 America will bring a delegation of more than 600 athletes to the 2019 Pan American and Parapan American Games in Lima, according to Sarah Hirshland, the new chief executive of the United States Olympic Committee (USOC). “We will bring a delegation of more than 600 athletes to Lima 2019, so it’s a very significant undertaking for us, and it’s exciting,” Hirshland – who took over her role in August 2018 – said after joining Panam Sports – the governing body for the Games – for its Commission and Executive Committee meetings in Costa Rica. “That’s an incredibly large group, which also means it represents an enormous amount of diversity across sports and disciplines. “So the opportunity to bring that group together and create an experience for them that allows them to not only pursue athletic dreams, but also to build relationships, understand and learn from people of different cultures and really create that experience, it’s an awesome opportunity to me personally. With more Olympic qualifiers than ever before at Lima 2019, due to take place from July 26 until August 11, athletes from Team USA are training hard to defend their overall title from Toronto 2015, where they won a total of 265 medals, including 103 gold. Hirshland was happy to expand on Team USA’s expectations for Lima 2019 and her priorities as the new President of the Panam Sports Marketing Commission. “I think the first priority is making sure we keep our focus on our mission and our promise to the athletes that we serve, giving them all the tools and resources they need to be successful in their athletic pursuits” she said. Hirshland will also attend the Parapan American Games that take place from August 23 to September 1. “The equity among the Paralympics is a huge priority, and it’s something that we are really gaining some traction and some steam in the U.S. around, so it will be a priority for me,” shd said. “We are all in on both the Olympic and Paralympic Movements and we are working really hard, especially as we think about hosting both the LA 28 Olympics and Paralympics, and how that’s going to work. Hirshland, whose career has been spent building brands and cultivating business relationships, also became President of the Panam Sports Marketing Commission at the start of this year. “It’s an incredible opportunity for me to try and contribute but to do so outside of our own country,” she said.